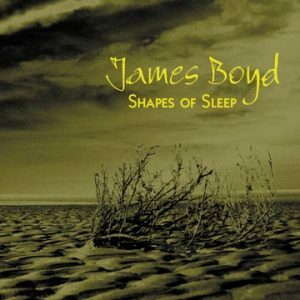 When Shapes of Sleep was first released in 2006 Classic FM Magazine summed up its appeal with the words ‘This Album is a beautiful thing’. Gramophone made it an editor’s choice album. The reviews internationally were unanimous in praise for the musicianship, poetic concept, liner notes and artwork. As in many of James’ productions, the uniqueness lies not only in exquisite musicianship and sensitive interpretation but in creating an unfolding story: from surreal photographs to the way the album organically reveals itself, to the recorded sound which is among the best ever created in a solo classical guitar Album. No recording company would take the concept under its wing. Shapes of Sleep didn’t fit easily into any genre. James sold his racing yacht, a beautiful International 5 meter called Indian, in order to underwrite the production and engineering costs. He found solace in parting from his maritime passion by immersing himself in the water world and wide skies of the East Anglian salt-marshes. Here amongst the cry of wading birds and the chuckle of the tide Shapes of Sleep was born. And in the iconic building of Snape Maltings Concert Hall, the concept came alive. The combination of guitar recording genius John Taylor and one of the finest acoustics in the world enabled James to record an outstanding programme surrounded by the shades of great musicians and the history which has given Aldeburgh, Snape and the Maltings its unique presence in the musical world. Shapes of Sleep is a limited edition album. More than just another CD it is a love letter to a wild landscape, with music that captures its heartbeat. To hear James play you have to attend one of his handful of performances in beautiful and rare locations or be invited to attend an exclusive concert. This Album is a glimpse of Jame’s artistry and, until the next one (currently under development) is produced, an opportunity to own a complete album that captures an extraordinary artist at his best.